Santo Domingo.- Tourism minister Francisco Javier García on Wed. headed the first meeting of the Presidential Commission which works to devise a strategy to strengthen security in the country’s tourist regions. 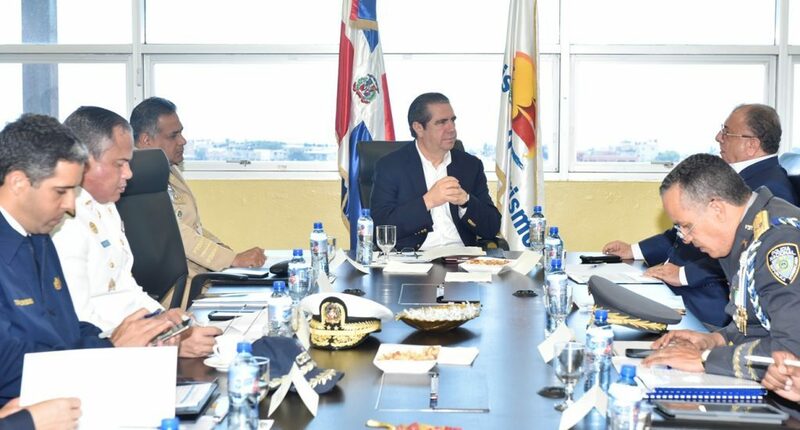 García and the officials discussed the points and first actions to develop a strategy to bolster public safety in the country’s four tourist regions, as instructed by president Danilo Medina’s recent executive order 47-19. “Several institutions are instructed to diagnose the challenges in terms of tourism security and propose a strategy that seeks to strengthen security in tourist destinations,” the executive order says. At the meeting, held in the meeting held in Tourism offices were the ministers of Defense, Rubén Paulino; Interior and Police, José Ramón Fadul; of Public Health, Rafael Sánchez and of Environment, Ángel Estévez; National Police director Ney Bautista, among others.